Call or send us and email today! Our staff will respond as soon as possible. Call us at (850) 835-9867 today. Dr. Jennifer Laird is a chiropractor serving Freeport and the surrounding area. Our chiropractor and the rest of the welcoming team at Freeport Family Chiropractic Clinic are committed to providing chiropractic solutions to address your unique needs, whether you are experiencing back pain, neck pain, headaches, or even muscular tightness and tension. You may be searching for pain relief after an accident, experiencing an injury, or if you suffer from a specific condition like chronic back pain or a spinal condition. Even if you looking to improve your overall health, our chiropractor can help you attain your everyday wellness goals! Visit our testimonials page to find out what our patients are saying about our Freeport chiropractor and our chiropractic care plans. At your first visit to Freeport Family Chiropractic Clinic, Dr. Jennifer Laird will explain how chiropractic care works and give you a full evaluation to see if our chiropractic solutions are a good fit to address your needs. If there is a good fit, we can customize a plan of chiropractic care for your condition and health goals. If you have not been to a chiropractor before and want to find out more, please email us or call (850) 835-9867 to receive the answers to your questions from our experienced team. We also welcome referrals, so we invite you to share our chiropractic and wellness information with your friends and loved ones. I am a native of Walton County. Graduated from Walton High in 1994. Graduated from chiropractic school at Life University in Marietta, Georgia in 2002. Since 2002, I have worked in Memphis, Orlando, Fort Walton and Niceville before opening my practice in Freeport, Florida in March of 2007. I am the first person you seen when you come in the clinic and the last person before you leave. I am the one on the other end of the phone when you call to make an appointment, have questions about insurance or just have questions in general. 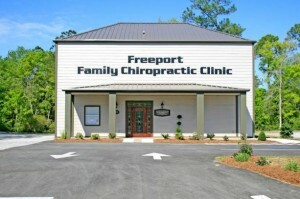 I have been with Freeport Family Chiropractic since 2008. I am a male massage therapist from DeFuniak Springs, Florida. I have been a massage therapist since April 2007. I work Monday thru Thursday and perform all types of massages. "Dr. Jennifer is very caring and responsive to any concerns I may have. I would also highly recommend massage therapist, David Cuchens. He is one of the best at deep tissue massage I have ever been to." "Dr. Jennifer is wonderful. I highly recommend her. She helped my chronic headaches go away." "Dr. Jennifer and her whole staff are the best! She has helped me so much when my back gets stuck!"